Layout for Android has the same design as its iOS counterpart and lets you combine multiple photos into a single image. As you choose photos from your camera roll, the application automatically shows you to preview custom layouts for your collage. 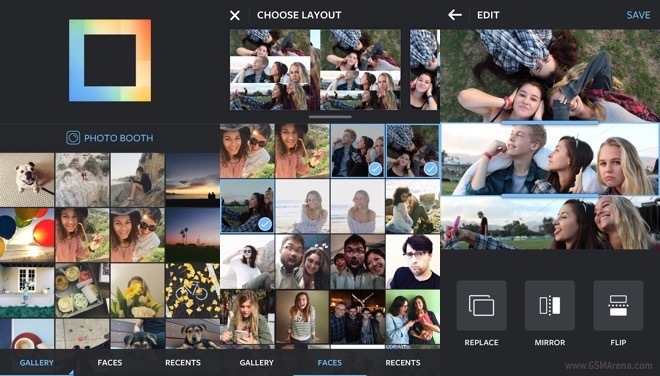 Users can also easily find photos of people via the Faces option. Layout is available for free in Google Play. Hit the source link if you want to download and install the app.